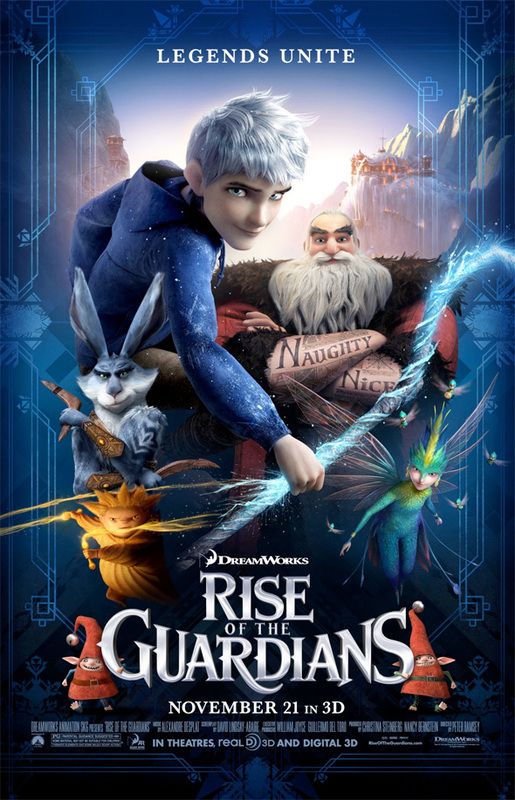 After the most recent action-packed, fantasy trailer and a batch of character posters for DreamWorks Animation's Rise of the Guardians, I have to say that I'm pretty stoked to see how this Avengers-style ensemble of Santa Claus, The Easter Bunny, The Tooth Fairy and more turns out. It seems to blend the action of Kung Fu Panda with the fantasy of Shrek, and that sounds just fine to me. Now a new poster has arrived assembling all our heroes onto one final theatrical poster. Personally, I kind of wish there was some looming darkness to represent Pitch (Jude Law), but it's still a pretty cool poster anyway. Check it out! cant get Joffrey out of my head........so i hope Jack Frost is a villan, coz i want to punch him in the face..